App Startup is taught by Andreas Kambanis, the founder of Nibble Apps who have created apps such as Fit Men Cook which reached #2 in the overall US download charts. We caught up with Andreas to discuss entrepreneuership, making money with apps and how to start your own app business. In 2013 one of my best friends said to me: “Why don’t we travel for a year starting in Canada and ending in Antarctica?”. Having read and been inspired by the 4 Hour Work Week, this seemed like a good idea. At our first destination in Vancouver, we were at a business mastermind and I met Abel James, the founder of Fat-Burning Man. We got chatting and decided to work on an app together with paleo recipes. 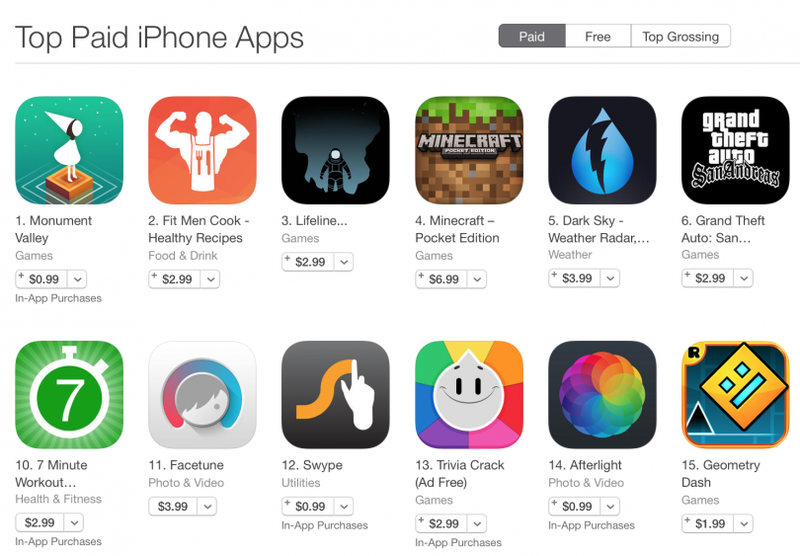 A few months later, the app launched and hit the Top 6 in the App Store charts. I suddenly found myself in the app business. What would you say are the top skills required to be a successful entrepreneur? A problem solving attitude and the drive to surround yourself with fellow successful entrepreneurs. Solve a problem for a large enough group of people and you are in business. My cycling blog catered to those everyday cyclists who wanted cycling tips, without the condescending advice from pro magazines. My Bike Doctor app helped people maintain their bikes, without spending lots of money at the bike shop. I’d love to say that right from the start I’ve been surrounded by a supportive network of fellow successful entrepreneurs, but that’s far from the truth. I spent a long time as a lone warrior. However, with time I made connections which I can now rely on for introductions, advice and inspiration. What inspired you to start making apps? I watched in awe as Steve Jobs introduced the first ever iPhone and my brain immediately started thinking of ideas. It made perfect sense to me that there should be a manual on there that helped you repair your bike. I partnered up with a developer splitting the profits 50/50 and launched my first ever app. Don’t you need technical skills to make an app? I’ve never had any programming skills and it’s never held me back. As long as you can add value through app marketing, content creation or other areas, there’s no need for you to become an expert programmer too. That part can be outsourced. Would you say making money from apps is easier or harder than alternative methods of making money online? I guess it can’t be that hard if I travelled through 20 countries for 12 months, while running an iPhone app business and launching 4 successful apps. The important thing is to play to your skills and passions. If you are an amazing negotiator, product designer or networker, find a way to make those skills pay off. It’s hard work at times being an app developer, but it’s certainly always fun. You just had a big launch with the Fit Men Cook app, what do you think led to it’s success? The Fit Men Cook app has an amazing value proposition for customers – “Cook once – eat healthy all week”. There are a lot of busy people out there, that want to achieve their fitness goals. By preparing meals on a Sunday, so you’ve got healthy food all week, it becomes a lot easier to achieve those goals. I think this really resonated with people. We shared this message on Product Hunt, a great website for discovering new products, and we ended up with more upvotes than Snoop Dogg’s album launch which was on the same day. It took us much longer than we originally anticipated to launch the app, but we really believe it would be a success so we stuck to it and I’m really proud of the final result. 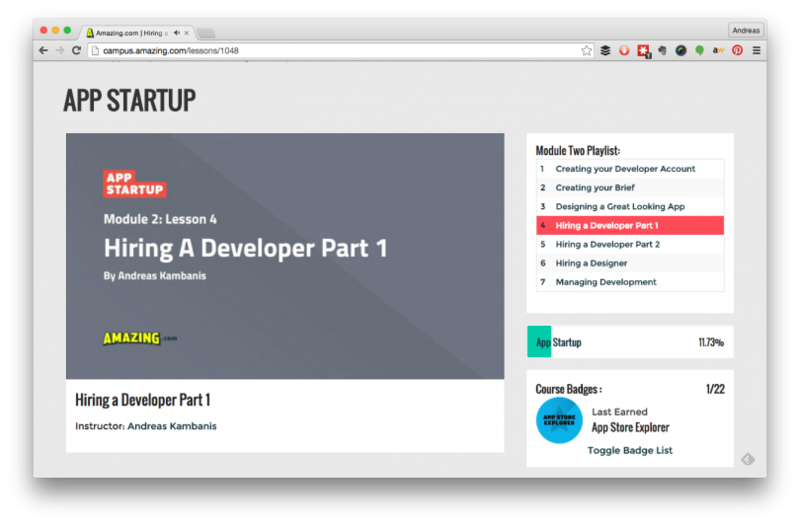 You’re the instructor on the App Startup Course, what’s it all about? I believe it’s really empowering to run your own business and set your own timetable. When my friend Matt Clark approached me about creating a course to help fellow app entrepreneurs I launched in to the project. It took me three months to put everything I’ve learnt in to clear step by step instructions and principles that others can follow to create successful apps. It’s a very comprehensive course and right for someone who like when I started out has no technical expertise and a small budget. Isn’t all this app information available online for free? There are some great resources online and I’m a big fan in particular of app podcasts. However, the information isn’t presented in an organised, easy to follow way. There’s also a lot of bad advice out there from people, which can lead people down the wrong path. Some of the things I’ve read have really made me cringe. The App Startup Course is going to be kicking in to high gear, so I’ll be supporting the community inside with advice. I’m also continuing to build great apps and we’ve got updates coming to all the apps in our portfolio, but first I think I’m going to go enjoy myself with a quick trip to see friends in New York. The App Startup course is published under the Amazing.com umbrella which currently has over 13,000 students learning how to start a businesses and the skills required to grown an existing business. 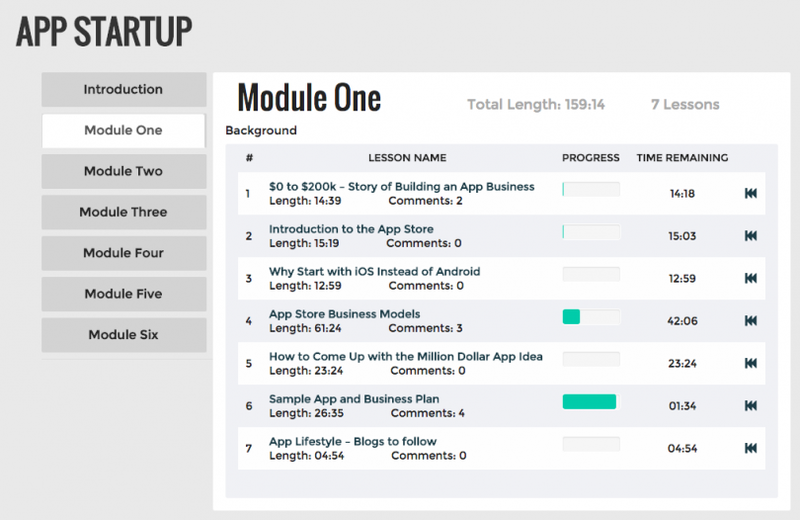 The App Startup course consists of six modules with over 11 hours of video course material led by an instructor. The instructor is qualified and you are following a proven business model. The engaged private community is useful for building relationships and learning from others. You need no technical skills to be able to launch an app using this method. 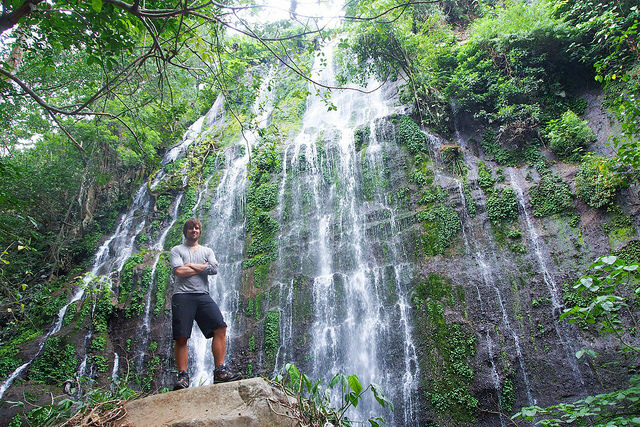 Andreas Kambanis built a $200,000 company in less than 12 months while traveling overland from Canada to Antarctica. His team’s apps have been featured by Apple and have received thousands of 5-star reviews from happy customers and have repeatedly topped the App Store charts across 52 countries. Andreas is now coaching others to create the next generation of independent businesses by sharing a complete strategy from idea generation to App Store success. Amazing.com offers a 30 day money back guarantee. A 100% refund is offered if you are not satisfied with the course with no questions asked. Bottom Line: Amazing.com have a reputation for creating comprehensive courses taught by expert instructors. The Nibble Apps founder who teaches this course is clearly passionate and knowledgeable on the subject and the course, like Amazon.com’s others, fosters a community of learning and growth.